Lymphatic filariasis impairs the lymphatic system and can lead to the abnormal enlargement of body parts, causing pain, severe disability and social stigma. Lymphatic filariasis (LF) is caused by infection with threadlike worms called nematodes of the family Filarioidea: 90% of infections are caused by Wuchereria bancrofti and the remainder by Brugia spp. Humans are the exclusive host of infection with W. bancrofti. Adult male and female worms lodge in the lymphatics. Fecund females release larvae (microfilaria) which periodically circulate in the blood. Microfilaria circulating in the blood can be ingested by feeding mosquito vectors. Microfilaria must mature in the vector before becoming infective. The mosquitoes can then spread infective larvae to new hosts when feeding. The major vectors of W. bancrofti are mosquitoes of the genus Culex (in urban and semi-urban areas), Anopheles (in rural areas of Africa and elsewhere) and Aedes (in islands of the Pacific).Transmission in a community is influenced by the number of infected persons (prevalence), the density of microfilaria in the blood of infected persons, the density of vector mosquitoes, characteristics of the vector that affect development of infective larvae and frequency of human-vector contact. Lymphatic filariasis is a significant health problem for humans in several developing countries including India. It ranks second as the leading cause of permanent and long-term disabilities. One-fourth of every population from endemic locations is infected with Lymphatic filariasis thereby affecting their socio-economic barriers. The WHO has taken initiatives to eradicate this disease by 2020. However, one of the fundamental challenges for the post-genomic era is to develop methods, to incorporate the exponentially growing protein sequence information from thousands of functionally-uncharacterized proteins, into large-scale drug discovery strategies for development of potent drugs against infectious diseases. Structural genomics initiatives continue to produce new models for Protein structure and contribute to biology and medicine by enabling Functional Annotation based on structure through Functional Genomics. Despite the significant advances, we lack an understanding of the relationship between structure and function. The identification of new drug targets and the successful development of potent and specific therapeutic drugs are still slow and requires the use of expensive processes. 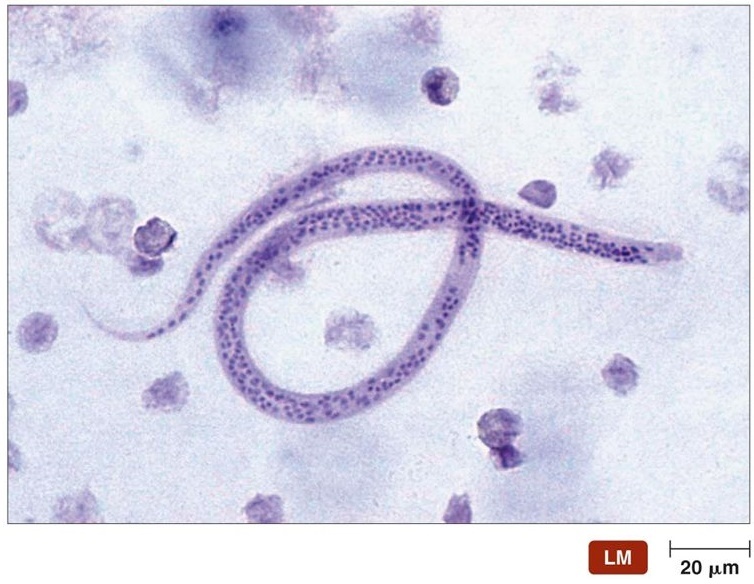 Wuchereria bancrofti, a human round worm parasitic helminth, found widely in the tropics and subtropics, is responsible for 90% of lymphatic filariasis. W. Bancroftigenome encodes 19,327 protein sequences. 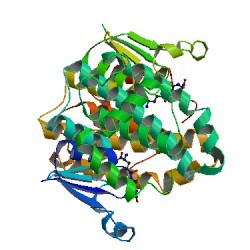 Currently, only two protein structures have been identified from this organism whose PDB IDs are: 4FYU and 5D73, which have been solved by X-ray crystallography. This shows that almost all proteins of W. bancroftidoesn’t have their structural information. Moreover, the sequence analysis of the proteins from W. bancrofti reveals that majority of the proteins do not have any characterized function. Therefore, sequence analysis of the proteins is of utmost priority before the three dimensional structure determination. This will pave the way for the development new drugs against the disease causing nematode..
With these points in view, this project aims to construct a structural annotation pipeline for all the proteins encoded by W. bancrofti genome by comparing the sequences of the various proteins from this organism with the homologous proteins from other organisms through bioinformatics approaches. M oreover, homology modeling for the proteins has also been carried out to predict the three dimensional structures of the proteins involved in various functions of W. bancrofti. 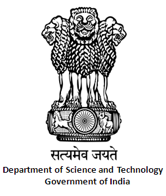 This will pave the way for the development of structure based inhibitors targeting the prevention of Lymphatic Filariasis.This database will hence be of profound use for molecular modeling, docking and structure-based drug designing. 3. Creating a repository of the data (final model and other information) in a repository/database for public access. The Genome Annotation involved the collection of all gene sequences of W.bancrofti available, with partial or no annotation on functional information from the NCBI Gene database and other databases. Further it involved the collection of all Protein sequences from NCBI Protein database and other sources. The sequence analysis involves homology studies with sequences of related organisms to identify the function of the proteins involved in the disease pathway of Lymphatic Filariasis. The initial modeling of protein structures was performed using Modeller (Andrej Sali et al.) software which performs both Single-template as well as Multiple-template Homology modeling. It is available as a Stand-Alone version for use in local systems and is proven to be most accurate for modeling protein structures with remote sequence similarity information. The Homologous protein sequences for W.bancroftitarget proteins were identified using BLAST (Basic Local Alignment Search Tool) and PSI-BLAST of NCBI. The templates were selected based on statistical parameters such as: E-value, Query coverage and Alignment length between target and template sequences. 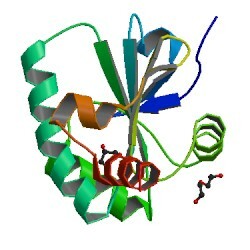 The template protein structures were used as starting models for derivation of model structures for the target proteins. If only remote similarity is found for a target protein sequence, multiple template proteins covering various local regions within the target sequence were used to produce an accurate model for the target protein. After the initial model-building phase, the models obtained were subjected to rigorous evaluation for structural quality refinement using Stereochemical Validation procedures to remove any Outliers present and Molecular Dynamics simulation using Gromacs to check the acceptancy of Thermodynamic parameters such as Potential energy. Ramachandran plot was used to detect outliers in the model structures. Once the models were validated completely, they with the coordinates file (PDB), Validation results& homology modeling information such as templates used, RMSD between template and target, Sequence alignment information etc were deposited in the database. A molecular visualization software (JSmol) was enabled as an applet in the database for visualization of the model. The database also has efficient querying and search options. Every protein deposited was given an Unique Identifier to enable the search, specific to the database. Thus, the database will serve as a source of models of W.bancrofti proteins can be used for further structural anlysis. The Genome Annotation will enable to identify the degree of Pathogenicity of every protein deposited and its inter-relationship in the pathways involved in the Lymphatic Filariasis infection. Elimination of lymphatic filariasis is possible by stopping the spread of the infection through preventive chemotherapy. The WHO recommended preventive chemotherapy strategy for LF elimination is mass drug administration (MDA). MDA involves a combined dose of 2 medicines given annually to an entire at-risk population in the following way: albendazole (400 mg) together with either ivermectin (150–200 mcg/kg) or with diethylcarbamazine citrate (DEC) (6 mg/kg).These medicines have a limited effect on adult parasites but effectively reduce the density of microfilariae in the bloodstream and prevent the spread of parasites to mosquitoes. MDA can interrupt the transmission cycle when conducted annually for 4–6 years with effective coverage of the total population at risk. . Salt fortified with DEC has also been used in a few settings to interrupt the transmission cycle. 3. Sharma et al., Drug targets for lymphatic filariasis: a bioinformatics approach, J Vector Borne Dis. 2013, 50:155-162. 4. Paily et al., A review of the complexity of biology of lymphatic filarial parasites, J Parasit Dis. 2009, 33: 3–12.